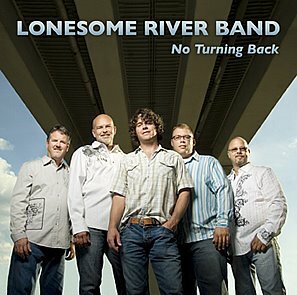 Rural Rhythm Records advices that Lonesome River Band’s CDÂ No Turning Back made the #1 album on Bluegrass Unlimited Magazine’s Top 15 Albums for two months in a row – May and June 2009. In addition they have two two singles on Bluegrass Unlimited Magazine’s Top 30 Singles for June 2009. Them Blues sitting at number 2 and Like a Train Needs a Track sitting on number 22. Read a review at lonesomeroadreview.